‘Tis the season to be jolly and all that but if you’re not careful, ‘tis also the season of chaos and clutter. If, that is, you walk blindly into the festive season without a bit of planning. And we’re not talking about early gift buying or getting the Christmas cards written pronto. We’re talking about clearing the decks so your home is ready for the upheaval that Christmas brings. All the stuff. The influx of new gifts, the added debris from wrapping and packaging, the space needed for decorations – not to mention The Tree. The thing is, if you don’t do the prep before you’re in the thick of Christmas, it’ll quickly become overwhelming…. The sitting room is so crowded (The Tree takes up half your space and that’s without the piles of presents spilling out from under it), you bash into it every time you want to turn on the TV. When that happens at least four decorations fall off the bottom branches and before you know it you’re bashing your head on the coffee table, crawling under it to retrieve baubles. At which point you think ‘must vacuum all these needles away’ but you can’t get to the plug because it’s overloaded with fairy lights, oops crunch you’ve stood on a bauble… and suddenly it’s all starting to feel more havoc than Hugge. So, before you’re in that mess, take a minute. Breathing helps of course, but even better, a quick bit of thoughtful reorganisation before the silly season will help you cope with the onslaught of stuff on your home this Christmas and beyond…. 2. Something in, something out: Remove a chair from the room to make space for the Christmas tree. Your sitting room is going to have MORE people in it than it usually does so you can’t afford to lose all that extra floor space to the tree. And no one seems to mind snuggling up a bit more tightly on the couches at Christmas time. 3. Hang ‘em all this Xmas! Yes, it’s easy to display (dump) cards all over the mantelpiece and every available shelf space. No, it doesn’t look nearly as good as hanging them on long strips of ribbon. Sure it takes a bit longer but the room will look way less cluttered and the cards won’t topple every time someone slams the door. Keep the ribbon and stapler handy, put on the TV and just do it. 4. Reframe your life. Despite the smaller home spaces we now live in and the lack of established plate rails, hanging rails and wall units, we all seem to think we have enough flat surface area for as many or more photos as our parents had on table/dresser display due to easier & cheaper accessibility to our own images. that you have too many stand-up frames to fit your lineal space. 5. Assess your mess. Once you’ve started to clear things away, it’s a good time to work out what you can get rid of for good. The ashtrays from Greece, freebie magnets on the fridge, school timetables which are now out of date… deal with them now before they re-enter your blind spot. 6. Give your fridge a break! The fridge can become a real clutter zone too at the best of times. When you’re planning your Christmas meal, plan how much food you really need. Don’t fall for gimmicky over-packaged novelty buys and BOGOF offers. One big wheel of best ever cheese is better than lots of random inedible little bits (complete with unnecessary free mini cheese knife). There is a huge quantity of food to provide but chunk it out into mealtime portions. Think 30 solid, sleep inducing sausage rolls and ketchup at midnight rather than canapés and expensive grazing snack items until 4am and save yourself a fortune. The same with chocolates – go for the big tin rather than a big selection of different sweets. 7. Make an exit plan – not just on Xmas Day to get away from overwhelming guest, but plan how you’re going to recycle everything over Christmas: Gift wrapping, packaging and lots of extra food packaging will double your rubbish output. Do you have garage or shed space where you can put an extra bin for recycling? What are your local council’s recycling centre opening hours over Xmas and the New Year? That might be a better option than waiting for a public holiday delayed council pickup. 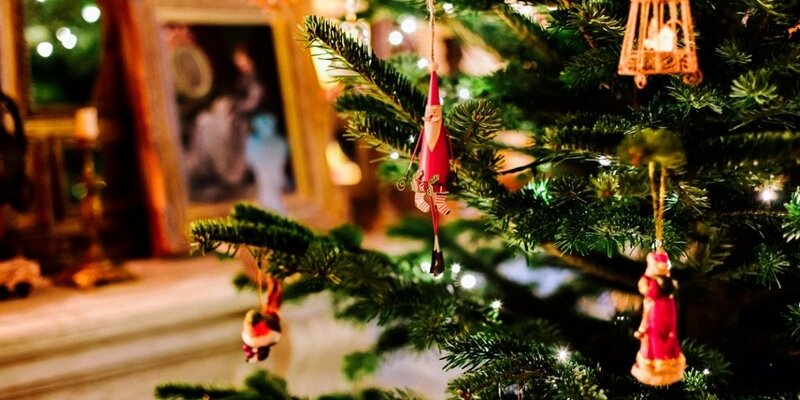 Moving House with Minimal Stress Regifting the spirit of Christmas – yes you can!